Important Note: What follows is a very negative review. I disagree with how the author presents interpretations of individual words, his summary of short phrases, his paraphrasing of brief episodes, his description of relationships between the people of the Bible, his descriptions of Israel and Christ, and (implicitly) his view of the Trinity. After my negative review of the author’s previous work, Covenant and Creation: An Old Testament Covenant Theology, I have broadened my reading to better understand his arguments. The result is I disagree with them more thoroughly and more completely. That said, the author of this book, William Dumbrell, deserves tremendous credit for the scale of his undertaking. In both his previous work and this one, The End of the Beginning, he systematically searches the Torah, the Prophets, the Writings, the Gospels, and the Epistles to find a deeper harmony and a consistent message. In his methodology and results, I believe he fails. Nevertheless, the basic assumption of the author: that the Bible is a kaleidoscopic whole, a story of God and His relationship with man – through all the sacrifices and ceremonies, kings and prophets, judges and writers –is correct. 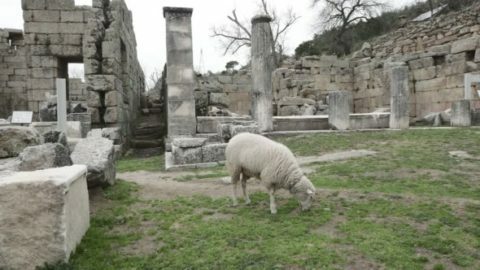 But I saw no temple in it, for the Lord God Almighty and the Lamb are its temple. The city had no need of the sun or of the moon to shine in it, for the glory of God illuminated it. The Lamb is its light. And the nations of those who are saved shall walk in its light, and the kings of the earth bring their glory and honor into it. Its gates shall not be shut at all by day (there shall be no night there). And they shall bring the glory and the honor of the nations into it. But there shall by no means enter it anything that defiles, or causes an abomination or a lie, but only those who are written in the Lamb’s Book of Life. A close reader will notice the presence of three “new” things: the New Heaven, the New Earth, and the New Jerusalem, and the absence of a “New Israel.” There is (at least on the face of it) no “New Temple” or “New Israel,” but perhaps the phrase is elliptic. Dumbrell’s search for the origin and promises related to these themes in the Hebrew Bible. 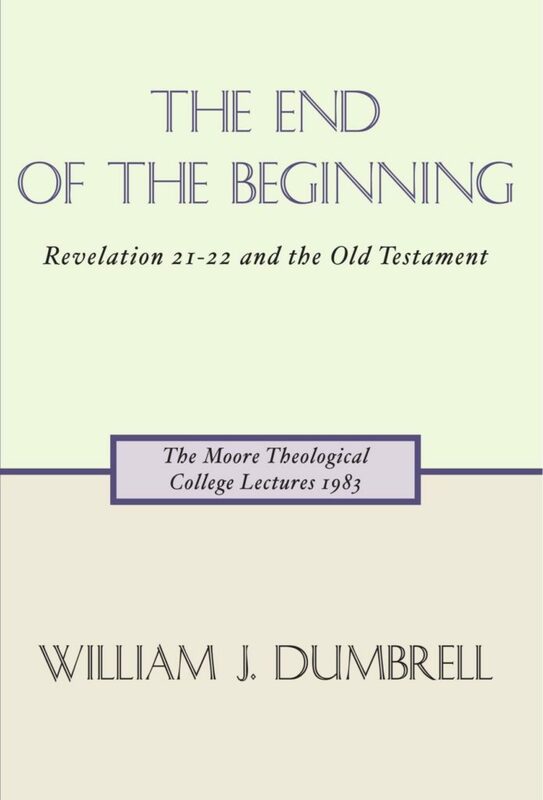 Here’s where the excitement begins: Dumbrell doesn’t focus on those present “news.” The book is instead centered on four themes: New Jerusalem, New Temple, New Covenant and New Israel. The New Heaven and Earth are simply ignored as first-level themes, while “New Covenant” arrives out of nowhere (The word is not mentioned in the last two chapters of Revelation.). Whether this choice indicates a brilliant or reckless interpretative strategy is largely the focus of this review. And with that, I will begin my review. I will hit the following high-level topics: the author is not a reliable reporter of facts. This leads him to distort sidesteps in the Scriptures. He appears not to know what a Covenant is, or how the Biblical writers would have that of that concept. This leads him to implicitly endorse a strange concept of the Trinity, which explains otherwise shocking claims: that Israel is rejected, and we wait for Christ only to shrug him off. Through the author’s exposition he misses the literary qualities of the Biblical text, which causes him confusion where he should find joy. I conclude by summarizing Dumbrell’s limited conception of the Divine with a traditional Jewish or Christian one. Therefore purge out the old leaven, that you may be a new lump, since you truly are unleavened. For indeed Christ, our Passover, was sacrificed for us.Therefore let us keep the feast, not with old leaven, nor with the leaven of malice and wickedness, but with the unleavened bread of sincerity and truth. Yet while Kings performed ghastly deads, such as the murder of priests, human sacrifices was introduced by a Judge. “Inspired” perhaps, although the spiritually perceptive reader might ask by who, or what? Then the Spirit of the LORD came upon Jephthah, and he passed through Gilead and Manasseh, and passed through Mizpah of Gilead; and from Mizpah of Gilead he advanced toward the people of Ammon. And Jephthah made a vow to the Lord, and said, “If You will indeed deliver the people of Ammon into my hands, then it will be that whatever comes out of the doors of my house to meet me, when I return in peace from the people of Ammon, shall surely be the Lord’s, and I will offer it up as a burnt offering.”…. So he said, “Go.” And he sent her away for two months; and she went with her friends, and bewailed her virginity on the mountains. And it was so at the end of two months that she returned to her father, and he carried out his vow with her which he had vowed. She knew no man. And it became a custom in Israel that the daughters of Israel went four days each year to lament the daughter of Jephthah the Gileadite. This was an interesting claim to me, given the explicitly military role of the Stars and their wars against kings. Is a cosmic drama being implied? I was excited. 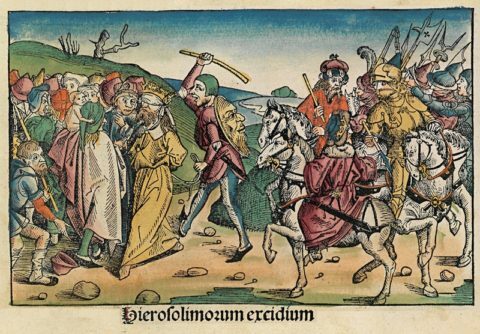 The Deuterocanon describes an angel fighting a demon in the Book of Tobit, the the Pseudoepigraphia goes into the celestial community in the Book of Enoch. So I wanted to know more. When I looked up parallel translation of the verse containing this word, I found none of them translated it as “watch-tower.” When I look up migdal in Hebrew-English dictionaries, I’ve found no translation that refers to “migdal” as meaning “watch-tower.” Dumbrell never defends his translation of “watch tower,” or even asserts it is his own translation. Saying “watch-tower” must have just sounded good. It is impossible to trust what he says. And we haven’t even gotten to the distortions that fit what appear to be Dumbrell’s agenda yet. There are also cases where it’s unclear if Dumbrell is incorrectly reporting facts, or simply making illogical conclusions. For instance, he uses — where the elders of Israel mediate the relationship between the LORD and Israel, as an example of an unmediated relationship between the LORD and Israel! The point here is not to insist on a Catholic reading of Exodus, but demonstrate that Dumbrell’s summary is incomplete and his conclusion bizarre. 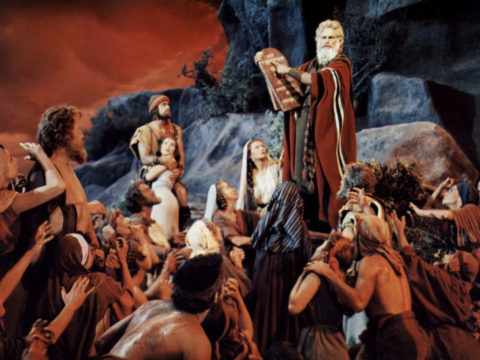 The passage describes Moses mediating a blood sacrifice, and then mediating the divine word, to elders who themselves mediate for their people! Sometimes the author’s distortion leads to completely bizarre conclusions. Dumbrell seems alone in all of Christian history in believing that Caiaphas had converted to Christianity! Not surprisingly, the passage does not indicate that the Jewish High Priest was a secret follower. 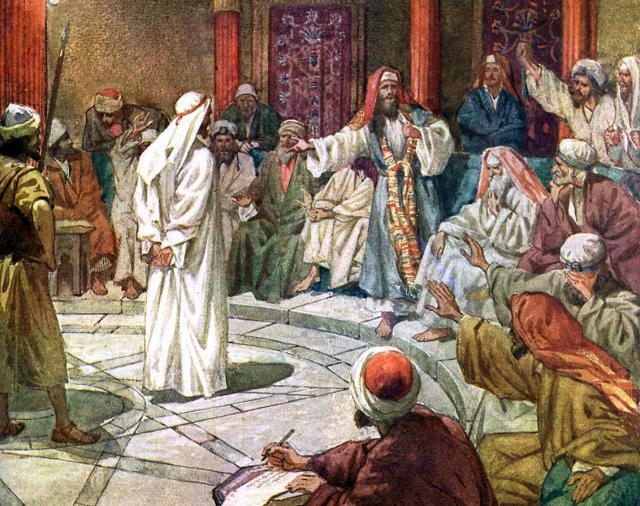 So far we’ve surveyed basic incorrect claims, incorrect summaries, and scriptural distortions that erased Israel and accused High Priest of Israel of knowing Jesus was the Son of Man during His trial. Dumbrell also does not understand ancient international relations, which (surprisingly) leads to even greater errors. It is in this context — the context of Dumbrell’s inaccurate and distorting reporting — that the most serious claims of the book should be addressed. Primarily, God’s relationship to Israel and, ultimately, God’s relationship to his Son, Jesus Christ. It is a difficult accomplishment to create a novel heresy objectionable to both Jews and Christians for separate reasons. Dumbrell accomplishes that. Dumbrell makes much of “Covenant,” an ancient form of communication analogous to the Instrument of Surrender. The only legal difference is that while a Covenant was voiced from the Conquerer’s side (promising not to destroy property, and proclaiming the obedience of the conquered people), the Instrument of Surrender is voiced from the conquered’s side (promising not to destroy property, and proclaiming their own obedience to the Conqueror). 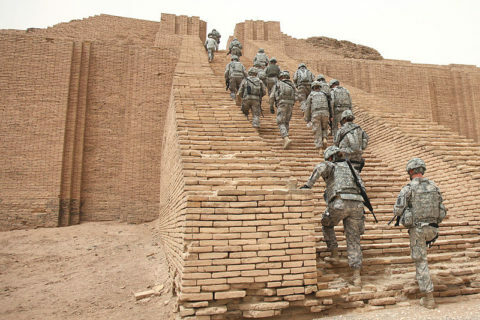 This is because in the ancient world a necessary feature of a government or military was to be able to enforce a local monopoly of violence, thus the conquer’s pledge was required to make it legally binding. In our own day, countries and military orders may legally exist without any actual capacity to legitimately use force whatsoever. Thus, the Sovereign Military Order of Malta continues in our day to join international agreements in spite of having no territory, a concept that in the ancient world would have been ridiculous. We, acting by command of and in behalf of the Emperor of Japan, the Japanese Government and the Japanese Imperial General Headquarters, hereby accept the provisions set forth in the declaration issued by the heads of the Governments of the United States, China, and Great Britain on 26 July 1945 at Potsdam, and subsequently adhered to by the Union of Soviet Socialist Republics, which four powers are hereafter referred to as the Allied Powers. 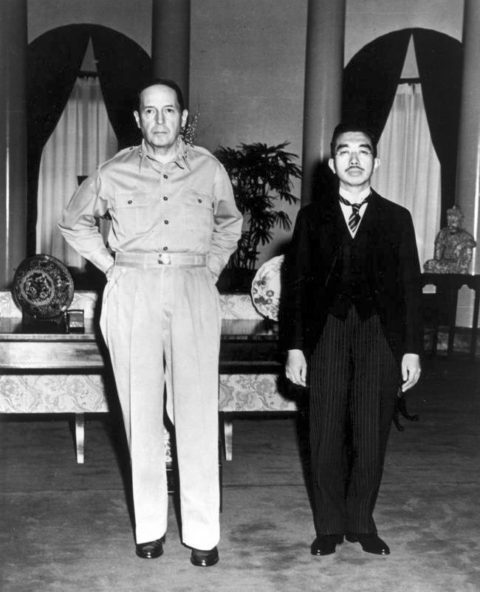 We hereby proclaim the unconditional surrender to the Allied Powers of the Japanese Imperial General Headquarters and of all Japanese armed forces and all armed forces under the Japanese control wherever situated. We hereby command all Japanese forces wherever situated and the Japanese people to cease hostilities forthwith, to preserve and save from damage all ships, aircraft, and military and civil property and to comply with all requirements which may be imposed by the Supreme Commander for the Allied Powers or by agencies of the Japanese Government at his direction. The Imperial General Headquarters by direction of the Emperor, and pursuant to the surrender to the Supreme Commander for the Allied Powers of all Japanese armed forces by the Emperor, hereby orders all of its commanders in Japan and abroad to cause the Japanese armed forces and Japanese-controlled forces under their command to cease hostilities at once, to lay down their arms, to remain in their present locations and to surrender unconditionally to commanders acting on behalf of the United States, the Republic of China, the United Kingdom and the British Empire, and the Union of Soviet Socialist Republics, as indicated hereafter or as may be further directed by the Supreme Commander for the Allied Powers. Immediate contact will be made with the indicated commanders, or their designated representatives, subject to any changes in detail prescribed by the Supreme Commander for the Allied Powers, and their instructions will be completely and immediately carried out. 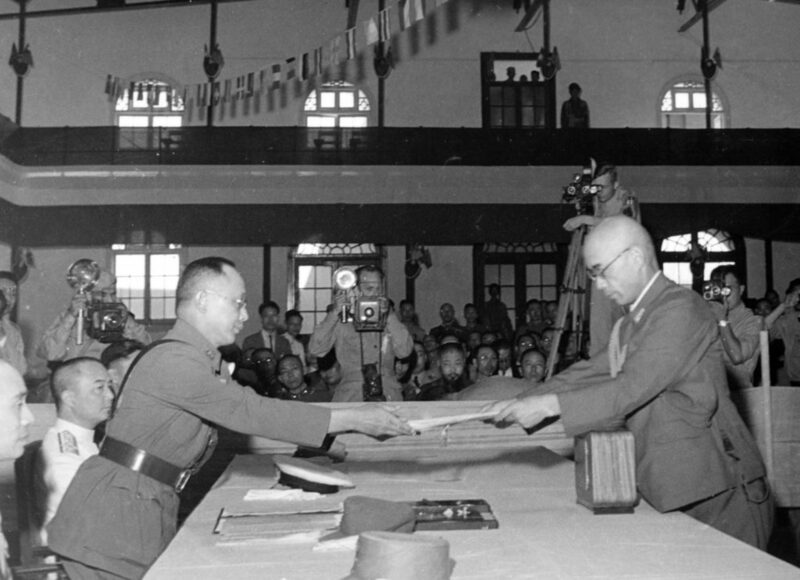 Hundreds of laws were provided by MacArthur to the remnant of Japan, both in expansive general orders, specific directives, and judgments for which the Japanese government was leaned on to execute. Of course, the existence of a General Order #2, #11, or even #614 would not imply that a “new” Instrument of Surrender must be executed! Of course, the negotiations preceding the signing of Japan’s instrument of surrender would have lead to conclusion about what such an Instrument of Surrender was going to entail, at least on a high level. 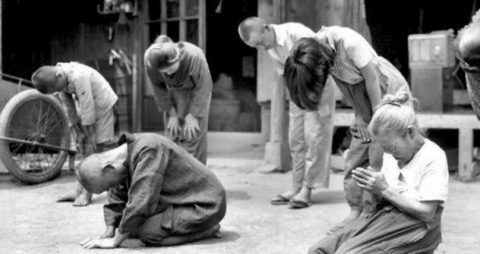 For instance, more than two weeks passed between Emperor Hirohito’s Imperial Rescript of Surrender (publicly signalling the coming Allied covenant over Imperial forces) and the actual Instrument of Surrender. “When you beget children and grandchildren and have grown old in the land, and act corruptly and make a carved image in the form of anything, and do evil in the sight of the Lord your God to provoke Him to anger, I call heaven and earth to witness against you this day, that you will soon utterly perish from the land which you cross over the Jordan to possess; you will not prolong your days in it, but will be utterly destroyed. And the Lord will scatter you among the peoples, and you will be left few in number among the nations where the Lord will drive you. And there you will serve gods, the work of men’s hands, wood and stone, which neither see nor hear nor eat nor smell. But from there you will seek the Lord your God, and you will find Him if you seek Him with all your heart and with all your soul. When you are in distress, and all these things come upon you in the latter days, when you turn to the Lord your God and obey His voice (for the LORD your God is a merciful God), He will not forsake you nor destroy you, nor forget the covenant of your fathers which He swore to them. 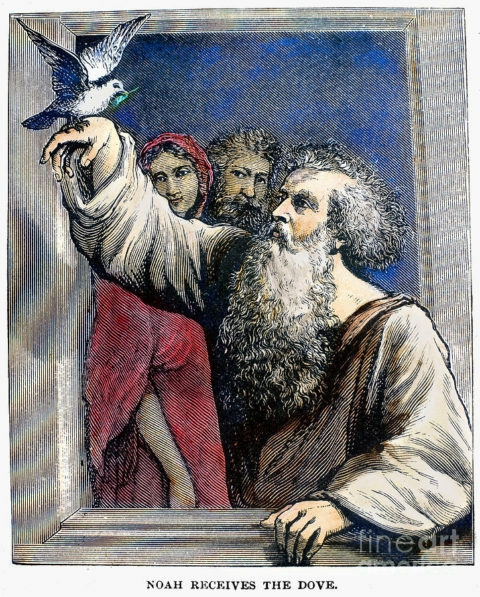 It helps us understand the context of the Exilic writings — from the final composition of the Torah to the literary Prophets — to know what they meant by “covenant.” It is not surprising that historical eras where Covenants were not an important legal document, such as the Kingdom or the Empire, did not prominent feature them in theological writings. What is surprising is that centuries later, a bizarre application of the covenant to the Trinity would appear: the Eternal Submission of the Son. Since Reformed theologian Johannes Cocceius (1603–1669) propounded the idea of the covenant of redemption, much Reformed theology has argued that Christ’s incarnate obedience reflects eternal relations. This idea holds that salvation rests on an intra-Trinitarian covenant, the Father stipulating that the Son should take human nature, make atonement for sin, and promising rewards for the faithful discharge of these duties, and the Son accepting the covenantal terms. Of this covenant, both Owen and Francis Turretin (1623–1687), for example, were notable exponents. (No one would describe the relationship of an Instrument of Surrender and a General Order this way, unless one wanted to be intentionally unclear.). These tragic messages are addressed one at a time. The “covenant” is a creation of God. Jesus, for Christians, is God. Dumbrell identifies the Servant not with God, but with a ceature. This creature the “Son of Man,” also identifying the “Son of Man” as a creature. Dumbrell is explicit that Christ does not inherit David’s kingdom, is not King of Israel, and men owe no earthly loyalty to him. Indeed, Christians should follow not Christ, but each other! While Messiah was once a Jewish term, Dumbrell agress with the anti-Christian writer Stuart Federow that Christ is not a Jewish Messiah. But Jehoiakim’s grandson Sheatiel is explicitly listed as an ancestor of Jesus (1 Chronicles 3:15-17; Matthew 1:11-12; Luke 3:27). 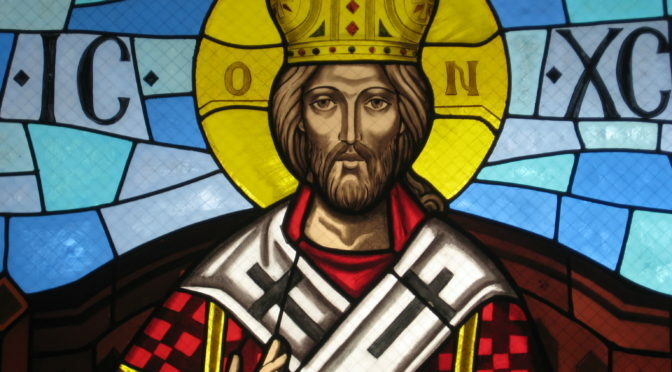 Anti-Christian writers like Stuart Federow use this as an argument against Jesus’s kingship. 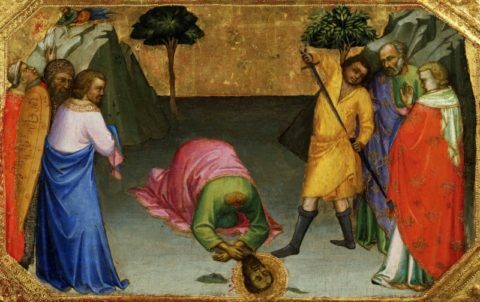 If judgments cannot be revoked (on the arguments that judgement s are a horrific kind of promise, and not a method of encouraging us), then Christ is not the King of the Jews. But this prevents the redemptive power of Christ’s life, death, and resurrection that Christians believe in. No explanation for this contradiction exists in Dumbrell’s writings. Although he goes out of his way to deny a potential resolution for it. But in Dumbrell’s theology, rejection counts for more than election. Dumbrell argues that God has rejeted forever Isreal, David, and even His own Son, as his Son is a direct biological descendant of King Jehiakim. Indeed, in Dumbrell’s theology the the Son of Man neither a Divine Ruler nor the LORD, and there is no room for Christ in the new world. Christ not only came in the guise of the servant, he ends in one, too. It’s not just that Dumbrell deceptively cites the Bible and promotes a heresy. He also has bad taste. By this I mean that the Bible is not just the words of the LORD as written by prophets and scribe: its exciting! The writing is really good, and includes comedies, tragedies, romances, military adventures, family dramas, and even some horror. 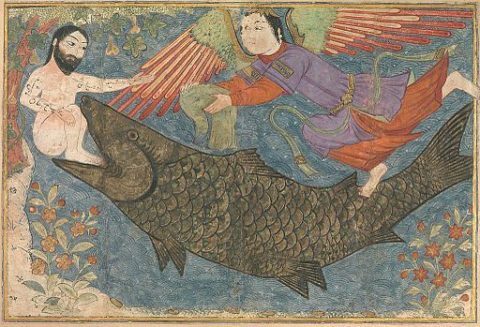 A more disturbing work is the Book of Ezekiel. Indeed, I called it “the most disturbing book of the Bible I read so far,” and it may be the most disturbing book I read, ever. It subverts much of what the believer thinks. Even how the reader thinks of narrative, because Ezekiel is Brechtian work, like the Gospel According to John, in which the “suspension of disbelief” (or rather, the suspension of knowing you are reading) is intentionally subverted. You are supposed to end reading the books knowing you are reading a book. For instance of the four Gospels, only John concludes with the narrator explicitly telling the reader he is reading a book, or where the narrator reveals he is not omniscient. And He led them out as far as Bethany, and He lifted up His hands and blessed them. Now it came to pass, while He blessed them, that He was parted from them and carried up into heaven. And they worshiped Him, and returned to Jerusalem with great joy, and were continually in the temple praising and blessing God. Amen. The man of course was Jesus. But the implications of this, that the one who Christians call the Son of God was himself Jewish, is often elided. It does not imply only that Jews are the elder broths in faith of the Christians. It means that to understand the words of Jesus as they would have been understood by those he spoke to, a Jewish interpretation of those words is needed. This is what Taylor Marshall gives to us in his short work, The Crucified Rabbi. Marshall was formerly protestant minister (well, an Episcopal priest, which may be close enough). His extensive Biblical knowledge, and his late introduction to Catholicism, allows him to make connections that others would not see. (For what it’s worth, a Reform minister who read my reactions to Covenant and Creation and The Book of Kings made a mirror comment about me — I knew little enough about Reform thought to be surprising.) At his best, He defends both the Papacy and the Blessed Virgin in terms I’ve never encountered anywhere, and which have stayed with me. His discussion of baptism is interesting, though tends to a Protestant understanding of the sacraments. And when it comes to the matter of the Old Testament, Marhall is a dispensationalist, and attempts to bring this disreputable protestant theory into the Catholic mainstream. Then the king of Assyria sent the Tartan, the Rabsaris, and the Rabshake from Lachish, with a great army against Jerusalem, to King Hezekiah. And they went up and came to Jerusalem. When they had come up, they went and stood by the aqueduct from the upper pool, which was on the highway to the Fuller’s Field. And when they had called to the king, Eliakim the son of Hilkiah, who was over the household, Shebna the scribe, and Joah the son of Asaph, the recorder, came out to them. Then the Rabshakeh said to them, “Say now to Hezekiah, ‘Thus says the great king, the king of Assyria: “What confidence is this in which you trust? 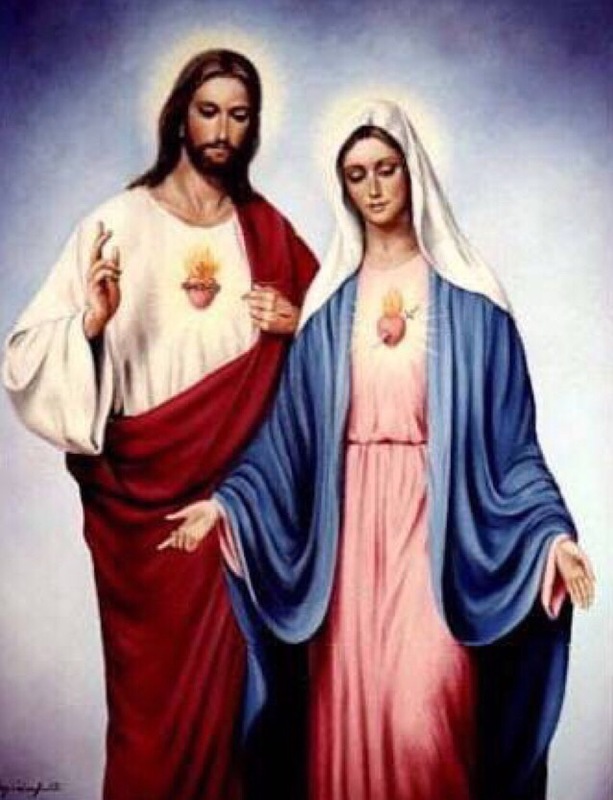 When Jesus therefore saw His mother, and the disciple whom He loved standing by, He said to His mother, “Woman, behold your son!” Then He said to the disciple, “Behold your mother!” And from that hour that disciple took her to his own home. Marshall seeks Old Testament fore-runners of baptism, but I disagree with his conclusions here. 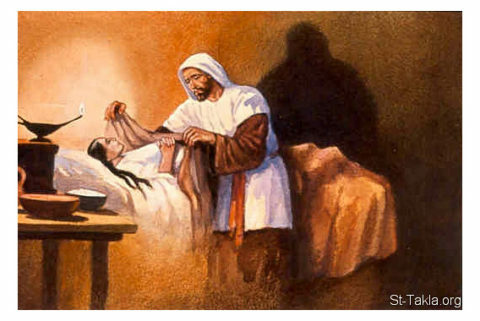 Indeed, the fore-runner to the sacrament of baptism is found in the New Testament… the baptism of John! The two oldest versions of the Old Testament we have are the Masoretic Hebrew edition, and the Septuagint Greek edition. While Jewish now use the Masoretic text, and Christians historically preferred the Greek, both are incomplete: the Greek text seems to have been translated from an earlier edition than the Hebrew. Marshall’s focus on the Hebrew seems to have been intended for use in dialog between Catholics and Rabbinical Jews. Thus, some discussion of baptism that would be illuminating have been left out. Then Naaman went with his horses and chariot, and he stood at the door of Elisha’s house. And Elisha sent a messenger to him, saying, “Go and wash in the Jordan seven times, and your flesh shall be restored to you, and you shall be clean.” But Naaman became furious, and went away and said, “Indeed, I said to myself, ‘He will surely come out to me, and stand and call on the name of the Lord his God, and wave his hand over the place, and heal the leprosy.’ Are not the Abanah and the Pharpar, the rivers of Damascus, better than all the waters of Israel? Could I not wash in them and be clean?” So he turned and went away in a rage. And his servants came near and spoke to him, and said, “My father, if the prophet had told you to do something great, would you not have done it? 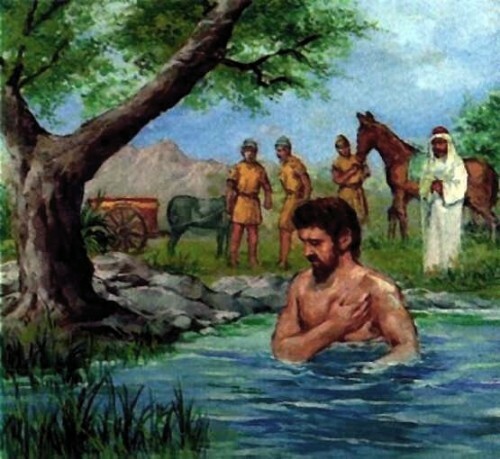 How much more then, when he says to you, ‘Wash, and be clean’?” So he went down and dipped [baptizein] seven times in the Jordan, according to the saying of the man of God; and his flesh was restored like the flesh of a little child, and he was clean. Instead, Marshall introduces concepts from rabbinical thought but with no obvious analogue in the New Testament, such as the Great Flood turning the world into a giant Jewish washing pool. Easily the weakest theme of the book is Marshall’s attempt to shoehorn “Dispensationalism” into Catholicism. Dispensationalism is an anti-Judaic (and, on suspects, anti-Catholic) doctrine that the Bible is the record of God repeatedly changing his mind and revoking previous promises. At an extreme, Dispensationlists encourage us to ignore the words of Jesus, as they were a last-attempt to speak to the fallen Jewish people, and a new dispensation began with the Descent of the Holy Spirit on Pentecost. 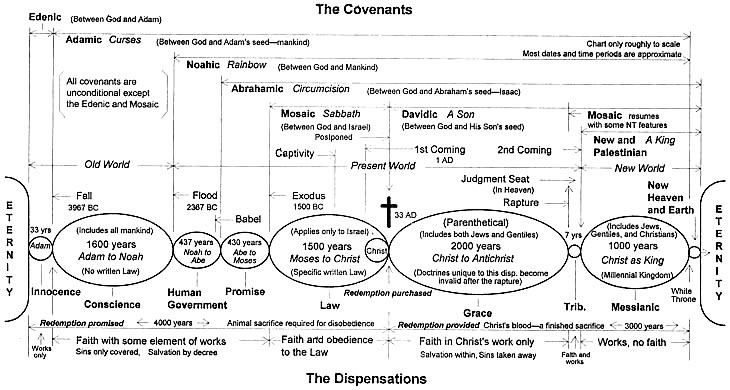 As with the equally dubious covenant theology, the trick becomes identifying a unit of analysis (dispensation or covenant) within a text, even though neither has historic validity, and then using it to erase everything except the most recent dispensation or covenant. While the Old Covenant was consummated and perfectly fulfilled at the death and resurrection of Christ, the New Law of the gospel was not promulgated until Pentecost. It was on Pentecost that the New Testament and the need for baptism became absolutely binding and necessary. Pre-Pentecostal Judaism in expectation of the Messiah was the true religion instituted by God through Abraham. Post-Pentecostal Judaism is a dead letter — a religion unknown to the pges of Sciripture. In summary, Jewish ethnicity in itself does not save. The Old Covenant is no longer salvific. For through the law I died to the law, so that I might live to God. I have been crucified with Christ; and it is no longer I who live, but it is Christ who lives in me. And the life I now live in the flesh I live by faith in the Son of God, who loved me and gave himself for me. I do not nullify the grace of God; for if justification comes through the law, then Christ died for nothing. 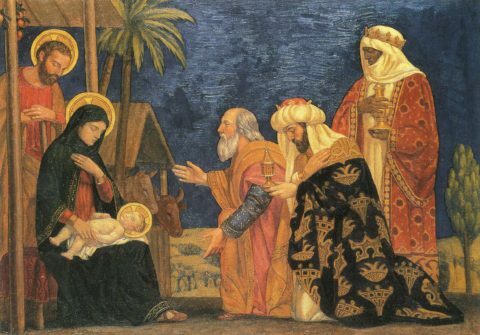 Traditional Catholic teaching holds that Christ descended to “Abraham’s bosom” or Limbus Patrum — the pleasant abode of the netherworld where the Old Testament faithful waited for the coming of the Messiah. They could not yet ascend to the heavens, because Christ had not yet died on the cross. And when the feast days had run their course, Job would send and sanctify them, and he would rise early in the morning and offer burnt offerings according to the number of them all; for Job said, “It may be that my children have sinned, and cursed God in their hearts.” This is what Job always did. 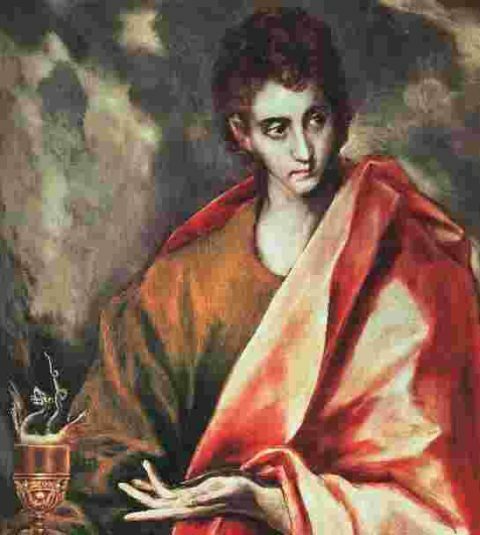 Then He took the cup, and gave thanks, and gave it to them, saying, “Drink from it, all of you. 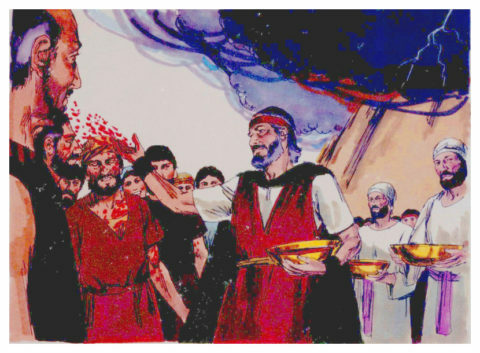 28 For this is My blood of the new[c] covenant, which is shed for many for the remission of sins. Catholicism teaches God does not revoke His promises. The Old Covenant is still in effect. But it was given to the Jews at Sinai. Some things were given to our older brothers but not to us. I disagree with Marshall’s theory of revoked covenants as strongly as I thank him for introducing me to knowledge of the Royal Household. But both ideas are indicative of Marshall as a syncretic teacher, who has taken his protestant method of Biblical Analysis and tried to apply it in a Catholic frame. This is too his credit. Taylor Marshall writes an exhaustive blog on theological issues, if you’d like to have more familiarity with his methods and ideas. 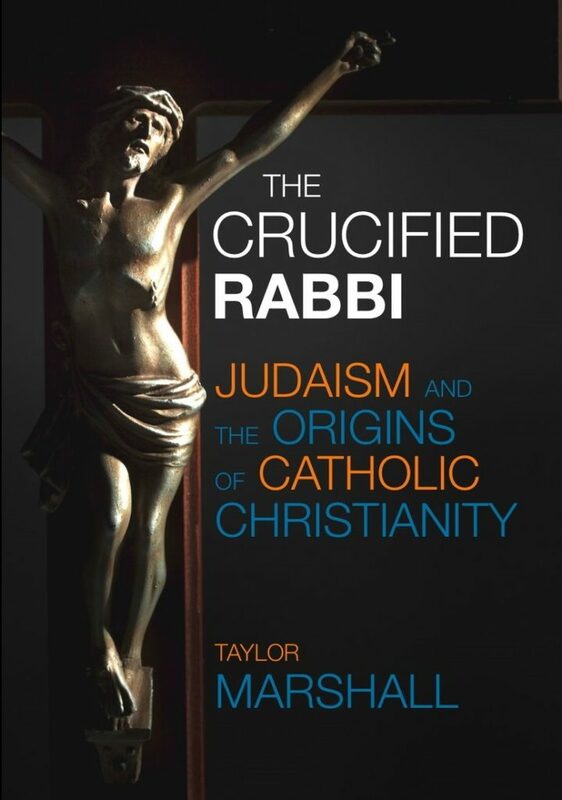 I strongly recommend The Crucified Rabbi by Taylor Marshall. 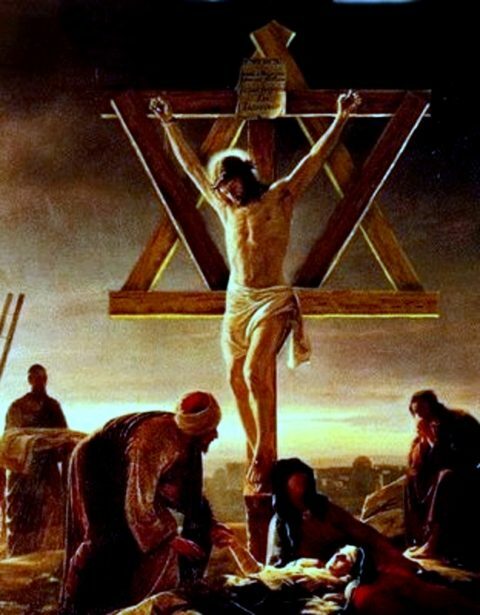 In Confessions, Saint Augustine wrote that reading of the Old Testament without understanding Judaism may do more harm than good, and The Crucified Rabbi is a good cure for this. It is a better explanation of the Old Testament than than Covenant and Creation, and more accessible to a lay reader than The Assembly of the Gods. I read The Crucified Rabbi in the Kindle Edition.